Panasonic Lumix DMC-SZ9 new product from panasonic which incorporates technology 25mm ultra wide-angle LEICA DC VARIO-ELMAR lens with powerful 10x optical zoom (35mm camera equivalent : 25-250mm) to boast high versatility despite the camera's slim, stylish profile.passing Leica's stringent standards, Panasonic Lumix DMC-SZ9 boasts exceptional optical performance with stunning clarity with minimum distortion and flare. The Intelligent Zoom function virtually extends the zoom ratio to 20x equivalent draws the subject even closer than the original optical zoom with minimum deterioration of image quality. With supported 16.1 Megapixels MOS sensor integrated in the Panasonic Lumix DMC-SZ9 boasts high speed signal output and high sensitivity image recording. The excellent S/N ratio of the MOS sensor and the Intelligent Noise Reduction system in the Venus Engine makes both photo and video shot at any sensitivity from low to high boast outstanding clearness. The high speed digital signal output technology enables shooting at 5 fps with continuous AF with mechanical shutter or at 10 fps in high speed burst mode, and burst shooting with flash is also available. 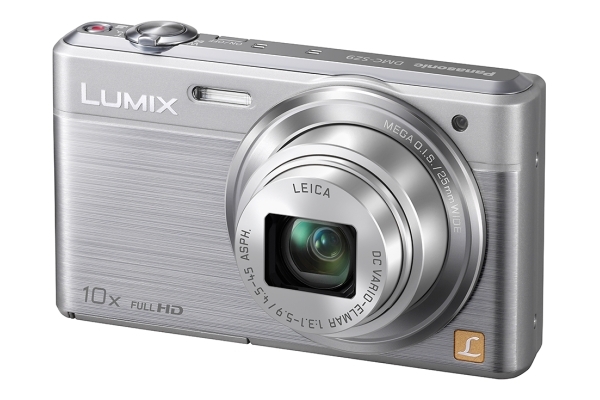 Panasonic Lumix DMC-SZ9 can record 1920 x 1080 fullHD 50i smooth video in AVCHD and 25p in MP4 format. A special, separate button on the top lets the user instantly start recording videos while shooting photos without having to make any extra settings. The powerful 10x optical zoom and the popular iA (Intelligent Auto) is available in video recording. The videos come wit the high-quality stereo sound of Dolby Digital, to offer highly realistic sound to the motion images. Learn more Panasonic Lumix DMC-SZ9 with download Panasonic Lumix DMC-SZ9 user manual in below and fun life with your Panasonic Lumix DMC-SZ9.